More and more, these are tasks that Delawareans are completing online —to further their education, acquire new skills, and compete in an economy that is evolving every day. My most important job as Governor is to make sure that Delaware has a strong, growing, and competitive economy. That’s why, among other steps we’re taking, it’s so important for us to expand access to high-speed broadband service across our state - especially in areas where service is spotty or unavailable today. 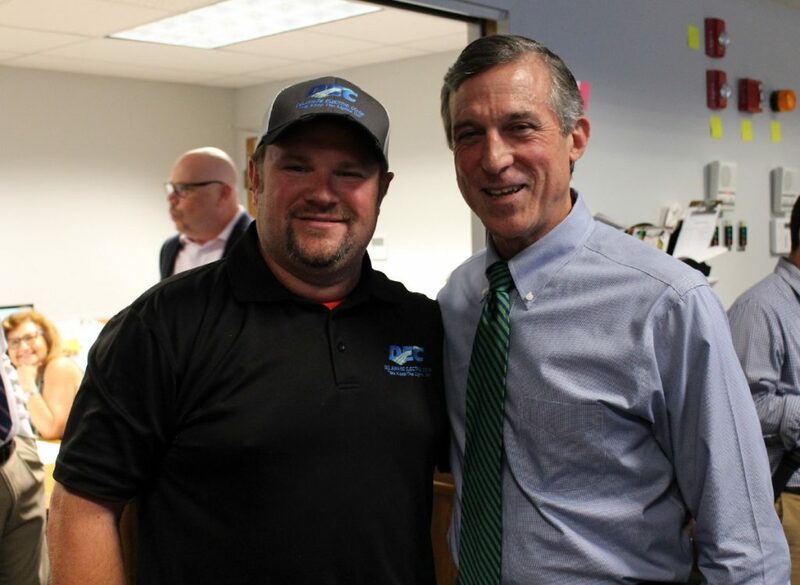 On Tuesday, during a tour of Delaware Electric Cooperative in Greenwood, we saw how important broadband access is to the delivery of electricity to customers across Kent and Sussex counties. Josh Wharton, a Delaware Electric Cooperative operations supervisor, shared one of his favorite stories. One night at 11:00 p.m., Josh received a call from another power company that had a fire on a power line. The company asked Josh to redirect power to 5,000 customers before their service was impacted. From his home in Gumboro, Josh used an iPad to guarantee those customers didn’t lose power. How was that possible? A high-speed, remote internet connection. Businesses need to reach their customers, and set up shop in locations that enable them to communicate efficiently. High-speed broadband is critical for companies of all sizes, and it’s why we’re working to ensure businesses have access to quality internet service statewide. We also heard from R.C. 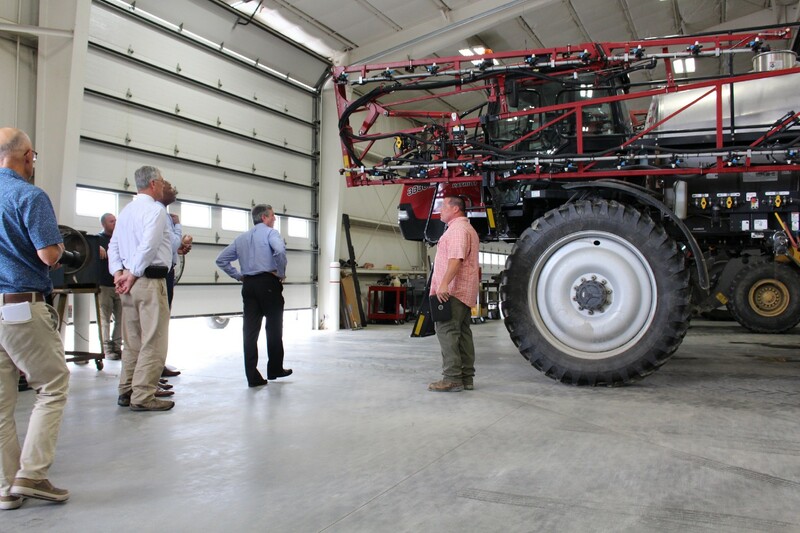 Willin and Brent Willin of Willin Farms on how their fifth-generation family farm uses internet connectivity to make adjustments to planting, monitor equipment, and manage business operations. In August, we will release a request for proposals (RFP) to develop partnerships that will improve broadband availability in rural areas throughout Delaware by creating opportunity for the private sector to develop and offer that service. [AUGUST UPDATE: Click here to view RFP.] Through this RFP and subsequent partnerships, the State will focus on enabling service to homes and businesses where broadband service is not readily available, particularly in rural Kent and Sussex Counties. Delaware will also prioritize low-cost services for lower income families to enable them to take full advantage of the internet, meeting needs that range from applying for jobs to completing homework assignments. We will make funds available through a rural broadband grant program to reduce barriers to market entry for private sector providers, and to further attract private investment. This is about increasing opportunity for all Delawareans - and making sure that no one in our state is left behind because they don’t have adequate access to technology. We are building on earlier work across our state that has achieved results. 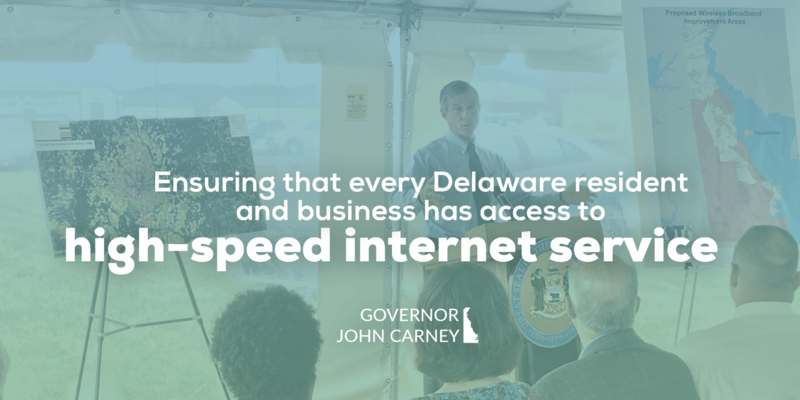 Delaware has worked diligently to expand broadband access across the state for several years. Delaware Chief Information Officer James Collins has worked with school district leaders to upgrade digital infrastructure and dramatically increase internet speeds in 48 schools statewide - many in areas that are under-served. As part of the Delaware Department of Technology and Information’s Delaware Broadband Fund Phase Two initiative to promote fixed wireless broadband solutions and reach under-served populations in rural areas, Bloosurf launched a pilot project in the City of Seaford which offered free service to customers within 8 miles of the wireless access points. That helped Delawareans like Kim Hopkins, a Seaford teacher, who previously had trouble grading papers, preparing lesson plans, and helping her children with their homework because of slow, spotty internet connection. We have invested in increasing our fiber infrastructure, with the State’s initial financial contribution, resulting in over $30 million in private investment and 700 miles of fiber. 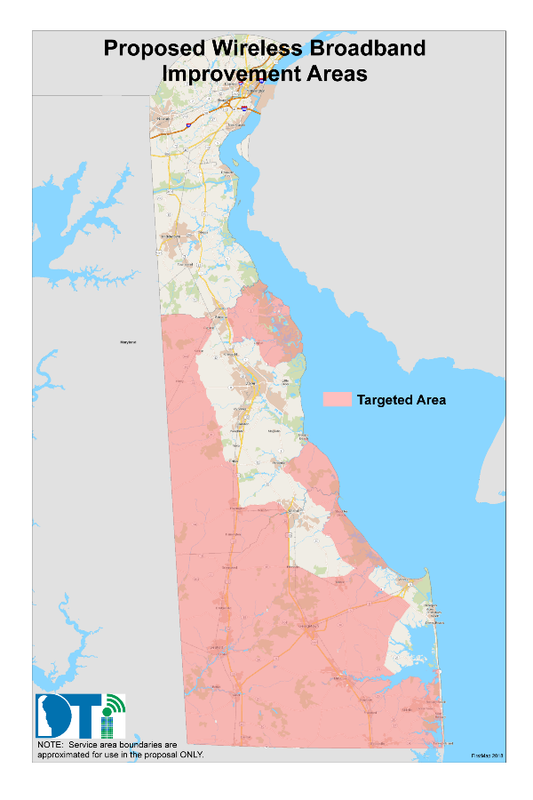 Delaware’s existing broadband “backbone” features high capacity fiber-optic lines that run the length of the state from Wilmington to Georgetown, and from Seaford to Lewes, improving internet reliability for consumers and increasing internet access speeds by as much as 10 times since 2009. Over the next two years, we will directly confront this issue, eliminate those deserts, and make high-speed internet a reality for all Delawareans. That will help all Delawareans connect and compete in a new economy, and help move our entire state forward.